Nadine Jack was born on 26th July 1982 and completed her primary and secondary education at Plaisance School. She completed her A Level Studies at the Seychelles Polytechnic and started her career in journalism and communication as a trainee journalist at the Seychelles Nation newspaper in 2003. She proceeded to undertake further studies in Malaysia in August 2004 where she undertook her undergraduate studies for a Bachelor in Communication (Honors) from the Higher Education Learning Programme- University of Achievers in Kuala Lumpur. As a university student, Nadine soon became an active member of the International Student Affairs Department where she was nominated as President of the African Society at her University for the duration of her studies. In 2010, Nadine returned to Seychelles and joined the then Ministry of Education, Employment and Human Resources as the Public Relations Officer. Following, government ministry restructuring in June 2012, Nadine was appointed Principal Information & Communication Officer for Ministry of Education where she was also a member of the Government Communication Team. 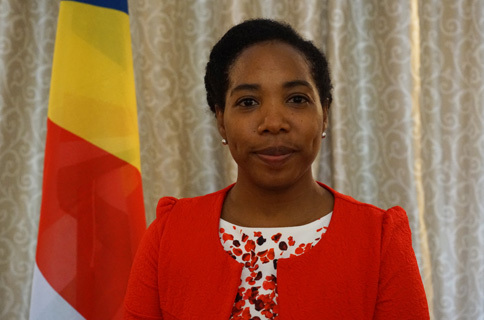 Eager to continue enriching her knowledge, Nadine joined the 3rd Cohort Seychelles Young Leaders Programme (SYLP) and obtained a Master’s Degree in Leadership and Strategy from the Institute of Public Administration (IPA), a College of the National University of Ireland. In November 2014 Nadine established “Island Communication,” her own Public Relations and Communications business, which offered private PR and media consultancy services, which included the service of Public Relations Manager for the Seychelles Petroleum Company Limited. Nadine was a member of the Board of the National Information Services Agency (NISA) since 2015. On 16th October 2016, Nadine Jack was appointed as Chief Press Secretary in the Office of the President.